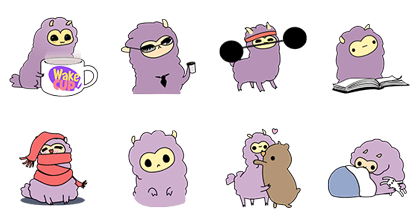 http://www.line-stickers.com/ – Little Purple Llama Line Sticker | This cute little purple llama is fully animated and ready to spice up daily life. 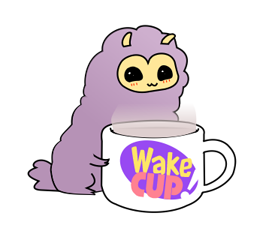 Use these stickers to show what youʹre doing throughout your day! Available till March 8, 2015. Stickers That Move! HaLuLu & “Sweet” – sweet magazine collab Mr. i & Miss. MiMi Cʹmon! Kara Mucho Stickers!